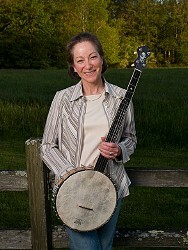 Lisa Schmitz has been playing 5-string banjo for over twenty years and is regarded as one of the top melodic players in the region. She is the co-author of The Complete Book of Clawhammer Banjo and is presently working on her second Mel Bay publication titled Old Time Music for Clawhammer Banjo. With the help of Sandol Astrausky, this book is evolving into a wonderful collection of contra dance tunes for fiddle, banjo guitar and bass. Lisa's work will also be included in a "Collectors Edition Anthology of Banjo Solos that will include some of the world's finest banjo performers. Lisa has a BS in Music Education and is presently teaching at Chariho Middle School in Wood River, RI. She is a recipient of a Folk Arts Apprenticeship Grant from the Rhode Island State Council on the Arts and has served as a panelist for the State of Connecticut Commission on the Arts. Lisa currently resides with her family in Hope Valley, RI. Bill Henry (guitar, lead/harmony vocals) started playing guitar at age 14, inspired by the music of Eric Clapton, the Allman Brothers and Bob Dylan. But it wasn't until high school, when he was exposed to the genius of Doc Watson and Tony Rice, that his devotion to the instrument and his musical direction was fixed. To encourage his interest in music, his father hand-crafted a guitar that Bill played on stage for many years and still uses for practice. 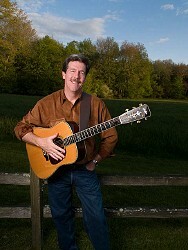 He currently plays and endorses Walker Guitars (www.walkerguitars.com). 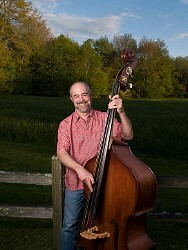 The jazz influences that now mark his playing, composing and arranging were nurtured by a year at Boston's Berklee College of Music, plus stints with jazz/swing group Hot Off The Frets and New York City's Charged Particles. A chance meeting with Taylor Armerding in 1981 led to the re-formation of Northern Lights. He has recorded with Marty Cutler, Orrin Star and the South County Rounders, contributed original songs and instrumentals to all of the band's studio albums, and recorded a solo album, RED SKY (OMS Records, 2002). Bill lives in North Stonington, CT, with his wife and their two boys and is a designer at Electric Boat in Groton. 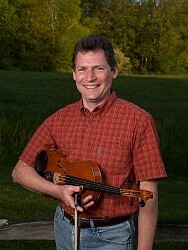 Matt Bolles has been active at the foundation of the traditional and bluegrass music scene in South County for many years now. 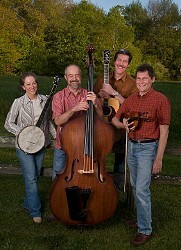 He has performed with numerous stellar ensembles including the Fiasco Brothers, Banana Bunkhouse Boys and Bluegrass Special, and is currently a member of the South County Rounders. Matt is also active in musical theater in and around his home in Jamestown, RI.